Guess My Slow-Cooker Confession for a Chance to win $2,500! Awhile back I made a video sharing my slow-cooker "confession." I told how I use the appliance to do a bit of sneaky cooking for my family, and it is now live on the Crock-Pot Facebook application page! You can visit it today, and see my video to learn about my methods, then answer the quick multiple choice question for a chance to win cash! 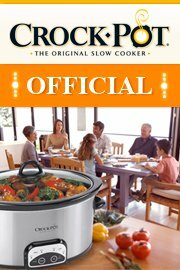 Do you have a "confession" from when you use a slow-cooker?